Why would I need self storage in Tinton Falls, NJ? There are a variety of reasons why you might need self-storage in Tinton Falls, NJ. How much is a storage unit in Tinton Falls, NJ? The cheapest storage unit in Tinton Falls, NJ is $37.00 per month. What size storage units do you have available in Tinton Falls, NJ? In Tinton Falls, NJ we have sizes that range from 5'x5' to 10'x20' to suit your storage needs. How much is it for a 5'x5' storage unit in Tinton Falls, NJ? The cheapest 5'x5' storage unit in Tinton Falls, NJ is $37.00 per month. Tinton Falls is a mid-size New Jersey borough in Monmouth County. It's home to a few regional points of interest, including the state's highest waterfall on the coastal plain, a 1676 mill and one of the county's major libraries. Tinton Falls is one of the oldest boroughs in the country, as settlers arrived in the area as early as 1665. Many people started to move here after the opening of the Tinton Manor Ironworks, which was one of the earliest examples of full-scale industry in the New World. However, the city didn't actually incorporate until 1950, and its original name was New Shrewsbury. Today, the town takes its name from nearby Tinton Falls. Tinton Falls' growing population in recent decades reflects people's desire to move here. In the 2000s alone, the town grew by a whopping 21 percent. This is primarily the result of a top-rated school district, low crime and a good number of jobs. Many workers also commute to New York City, although the round trip commute time is two-hours. Tinton Falls has a rich history that's seen in many of its buildings, and today, the local historical society works to preserve buildings and improve other historic places. Local parks and recreational facilities include a golf course, wildlife and nature preserves, and several community playgrounds and sports fields. Job seekers will find many opportunities in various industries. Including health care, education, IT and retail. The largest employer in Tinton Falls is Commvault, an IT company that provides close to 2,000 local jobs. 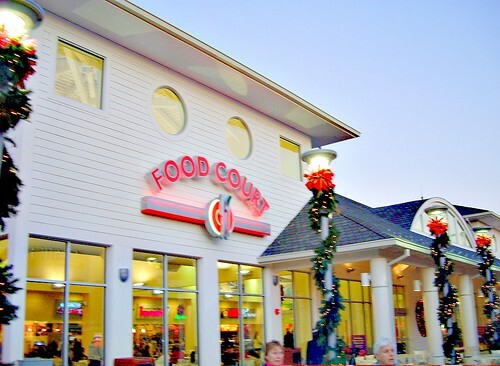 Jersey Shore Premium Outlets is also a major employer, with 120 stores offering retail work in the area. Tinton Falls is part of the Tinton Falls School District. The Monmouth Regional High School District serves high-school students from Tinton Falls. You can also enroll your child in one of the public magnet schools in the area. If you're looking for private school options, the most conveniently-located campus is the Ranney School, a nonsectarian K-12 school. Utilities: Tinton Falls' primary utilities providers are Jersey Central Power & Light and the borough's utilities department. Garbage and Recycling: Your trash will be collected weekly and recyclables are picked up every other week. Your home's specific location determines your collection schedule, which you can look up on the borough's website. Transportation: Like most areas in New Jersey, Tinton Falls has a public transportation network operated by New Jersey Transit. The Tinton Falls housing market offers a wide range of housing options, including rental properties and homes of all sizes and styles. New construction homes are available in growing housing developments in the area. Prices are more expensive here than in many comparable U.S. cities but are fairly even with state averages. Our lowest priced units in Tinton Falls, NJ average $37.00 per month. 56 people have reserved units in Tinton Falls, NJ in the past 30 days. There is 1 location within Tinton Falls, NJ's city limits.